At Kuanzhaixiangzi Alley, Chengdu, China. I was expecting a Yuyuan street experience like that of Shanghai 2011, when I thought to visit Kuanzhaixiangzi Alley in Chengdu, China. But this was a different adventure of sorts. Cozy yet vibrant, visitors are greeted with beautiful architecture throughout the alleys. 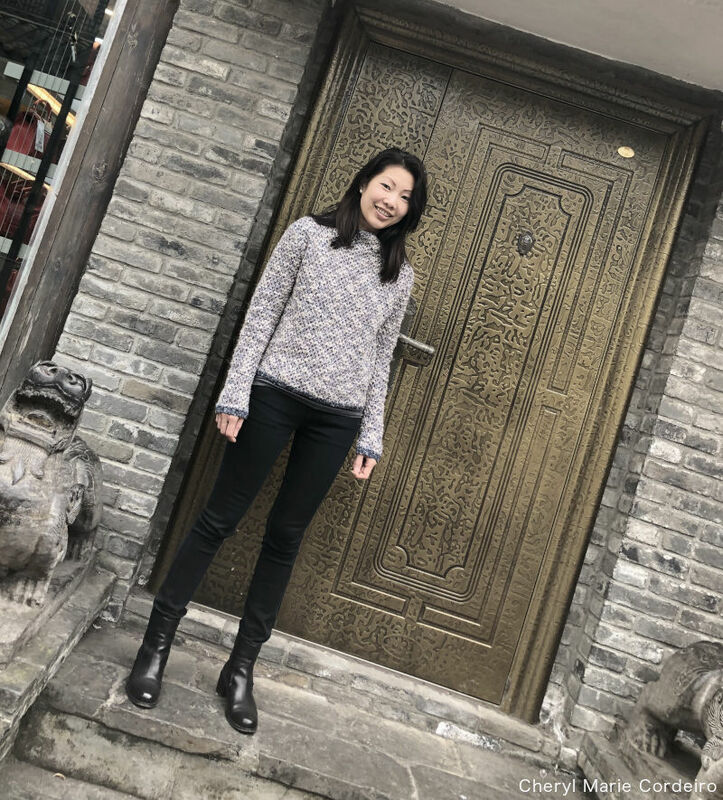 Located in proximity to Tianfu Square and Renmin Park a taxi ride will take just about ten minutes to Kuanzhaixiangzi Alley and what I think is one of the more scenic (historic-) urban areas in Chengdu. 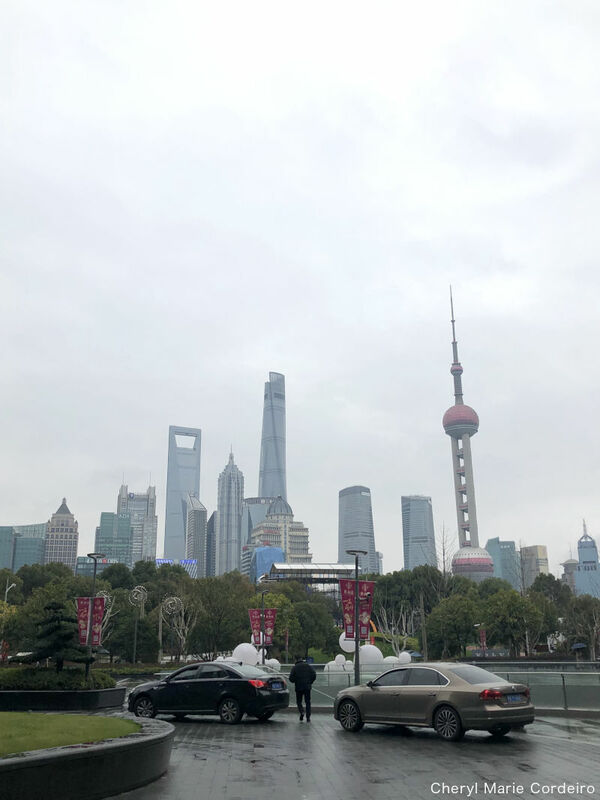 Morning skyline in March 2019, Shanghai, China. I’ve often written that landing in Shanghai, China, feels as if I were coming back home. If there was a city in China that I have visited the most, it would be Shanghai. Between 2010 and 2014, I found myself almost annually in Shanghai for various work and study visits. 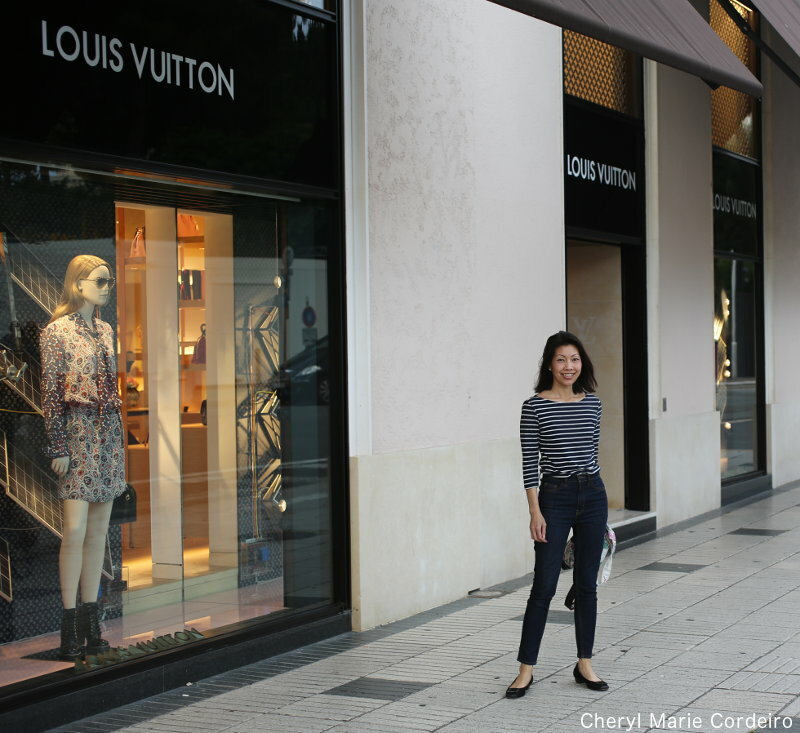 It’s been about five years since I was in Shanghai and expectedly, the city has developed some, a morphing burgeon of its 1920s and 1930s personality from Paris of the East unto its own. I do not know how else to describe other than, it is, Shanghai, lacking nothing. Served in the tea house, across the road from the Manjushri Monastery, Chengdu. 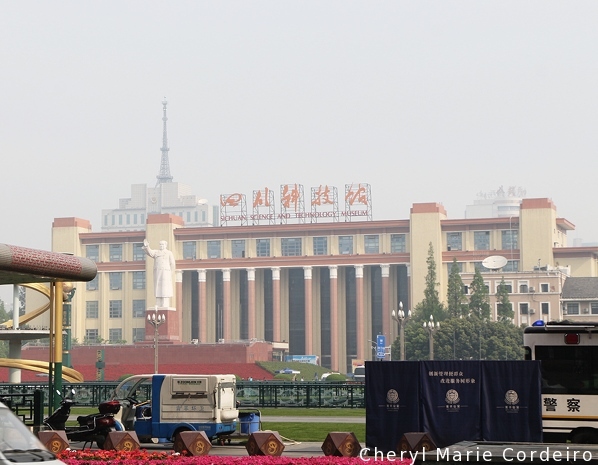 At Tianfu Square, the Sichuan Science and Technology Museum. 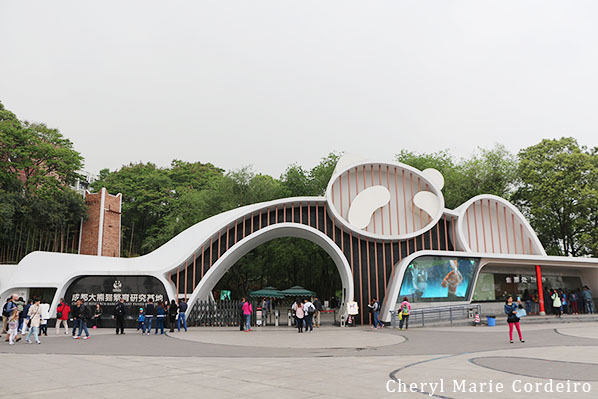 The Chengdu research base for giant panda breeding. 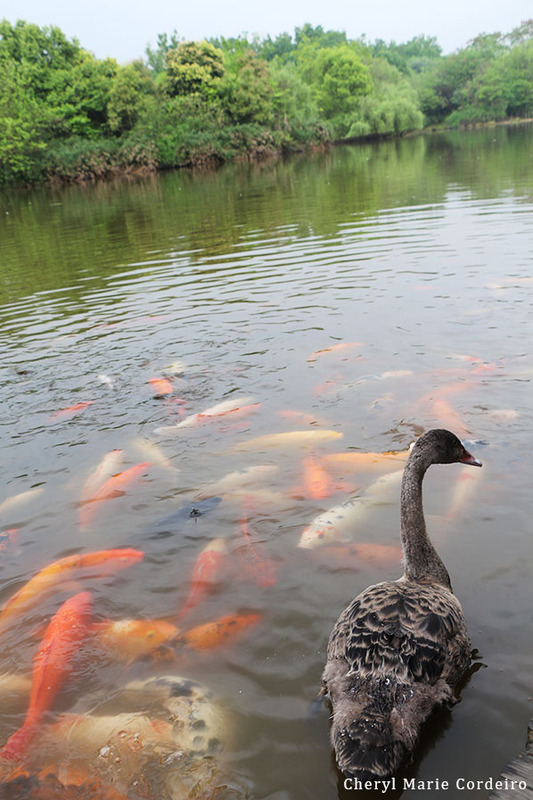 Swan Lake, at the Chengdu research base for giant panda breeding. The landscape of Chengdu, China, are said to have inspired poets from as far back as the Tang dynasty. Lujiazui by night. In the background, lit blue, the Oriental Pearl Tower. When in Shanghai, the last place I expected to find myself exploring come sundown is Lujiazui, the city’s financial district, as the more popular of nightspots would include Xintiandi or even the quieter street of Hengshanlu lined with all sorts of eateries from Turkish and Thai to Hunan cuisine. Shanghai Word Financial Center (SWFC). 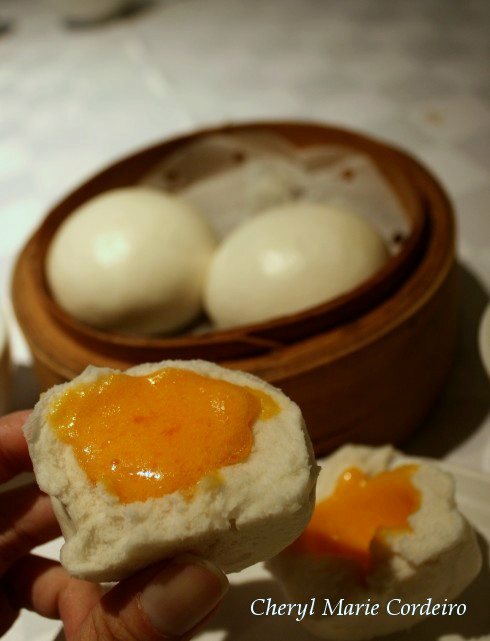 Steamed egg yolk buns, New Star Restaurant, Hong Kong. I’ve far too often heard that Hong Kong has the best dim sum, so I was naturally excited about being in Hong Kong if only for the food. 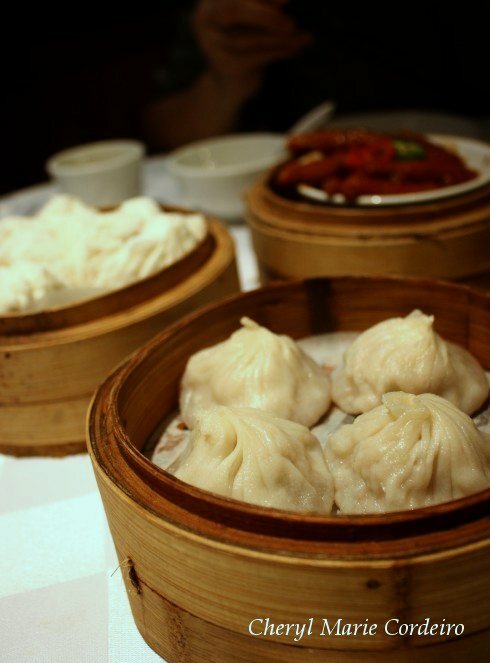 But when in Hong Kong, like its so many shopping establishments, you’re confronted with so many eateries and interesting food choices that finding the recommended dim sum spots doesn’t even occur to you. You’ll find yourself pulled by interesting sights and smells to various foods on display, not the least amusing is watching people enjoy their meals standing at street corners, oblivious to heavy traffic not two feet from them. People stand and eat with the current rain on their shoulders, playfully dampening their fresh clothes and all of this plus the noise of the traffic and the rush of footsteps from others, makes you as a visitor want to get in on the act too – go completely local and tuck into some interesting food, standing in mud puddles and all. 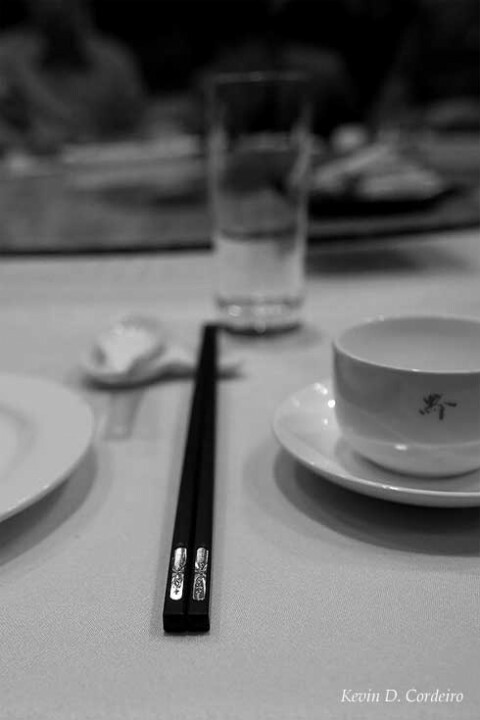 After the first rush of excitement and confusion with authentic Hong Kong cuisine, I set about to find the Guide Michelin star dim sum restaurant, Tim Ho Wan (添好運點心專門店) which means “Add Good Luck” at Tsui Yuen Mansion, Kwong Wa St, Mong Kok. 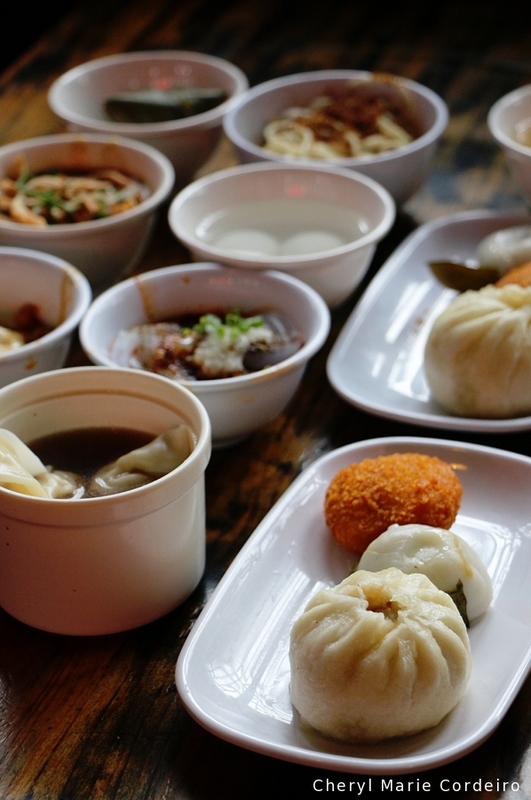 The place is notoriously tiny in seating capacity and has been described as literally, a hole-in-wall place to eat. 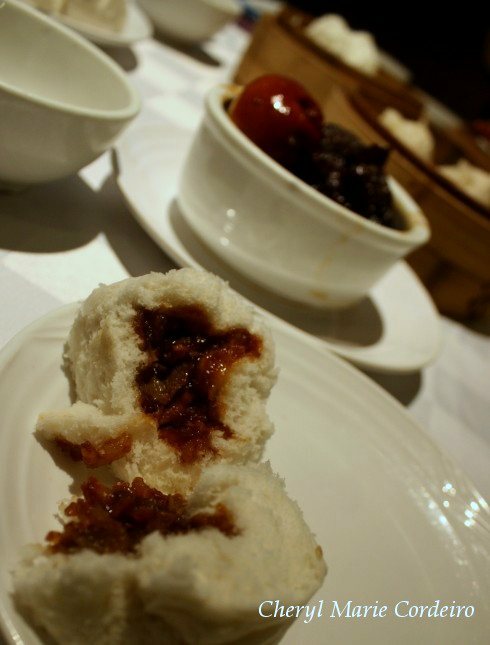 Well, suffice to say, without much planning this time around for Hong Kong and worse, without a map, I didn’t manage to find that place but ended up at New Star Seafood Restaurant along Stewart Road that, to my serendipitous discovery, had some truly awesome dim sum! 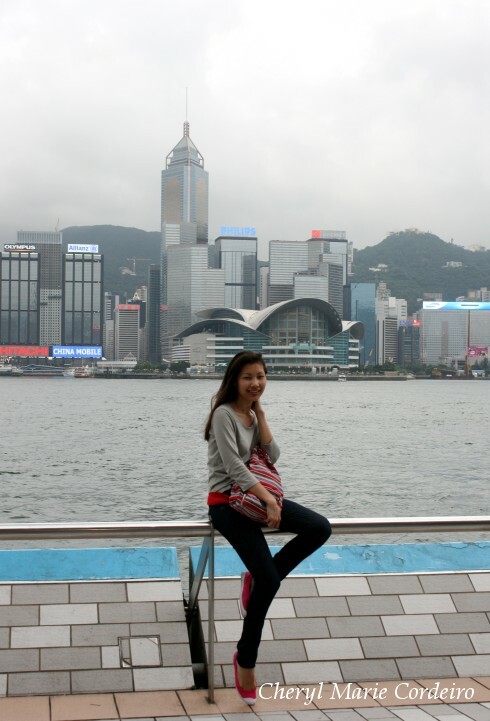 Along Victoria Harbour, Tsim Sha Tsui’s Avenue of Stars (Chinese: 星光大道). As you walk around Hong Kong, you realize that there are those who visit and who even do business in the country, but who never get involved, like a bystander that avoids the puddles when it rains, and then there are those who are living the very heartbeat of Hong Kong because they must. 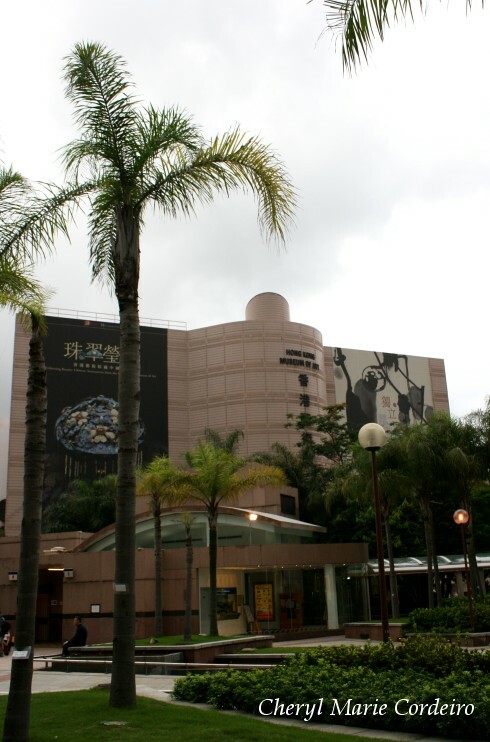 Hong Kong Museum of Art, flanks one end of Avenue of Stars along Victoria Harbour, Tsim Sha Tsui, providing visitors a perfect starting point for walking down the waterfront. These two sides of the same coin is most poignantly illustrated at Tsim Sha Tsui, along Victoria Harbour that shows the two facets of Hong Kong still meeting in this day and age, one of old China and one of what is modern China demonstrated literally by two vessels of different times passing each other. It is at this waterfront that western savvy gathering in The Peninsula, Intercontinental and Shangri-La meet eastern traditional that is just a stone’s throw from the harbour, down from Nathan Road at Mong Kok’s street stalls and wet markets. Information overload along the streets of Mong Kok, Hong Kong. 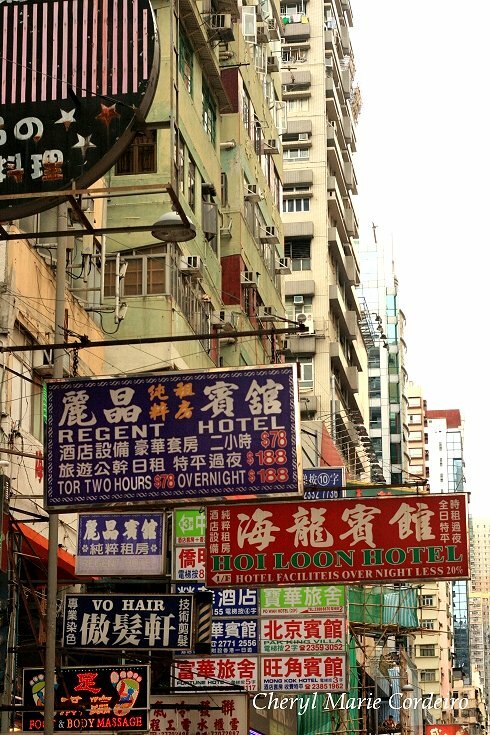 Characteristic of Hong Kong is the information overload that greets you along its busy streets, not only from signboards that hang abovehead, but by all the minute happenings along the street and around every street corner. From the movement of goods from van to store, to the bargaining for the best prices and the rush for buses, taxis and the MTR, it’s tempting to want to observe everything when you’re there. For a first time visitor, it’s perhaps sometimes easier if you just ignored for the most part, the things that happen around you in order not to feel overwhelmed by it all, for Hong Kong like Singapore with a sliver of difference, seems also a city that hardly sleeps. These pictures were taken mostly in Mong Kok, Hong Kong, with the wet market scenes most familiar and heartwarming to me. The Shanghai Expo 2010 will open in just 3 days, running for 184 days (from 1 May to 31 October, 2010). When it comes to China, nothing is on a small scale these days if they can help it, just browsing the Events section of the Expo gives something to look forward to, from parades to song, dance, insights into the local food and culture. The theme for this expo is “Better City, Better Life” and aims to bring awareness to and perhaps tackle the challenging issues that face global cities in the near future. 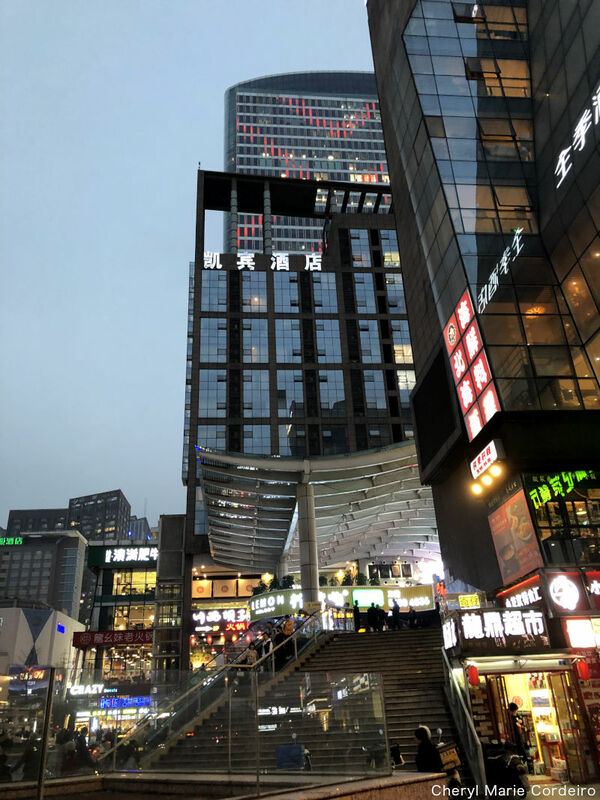 In this post, some pictures of Shanghai today, from food that includes century eggs to braised pork and chicken, to the clean modern lines of a hotel, a room on the 27th floor with a view over Shanghai. 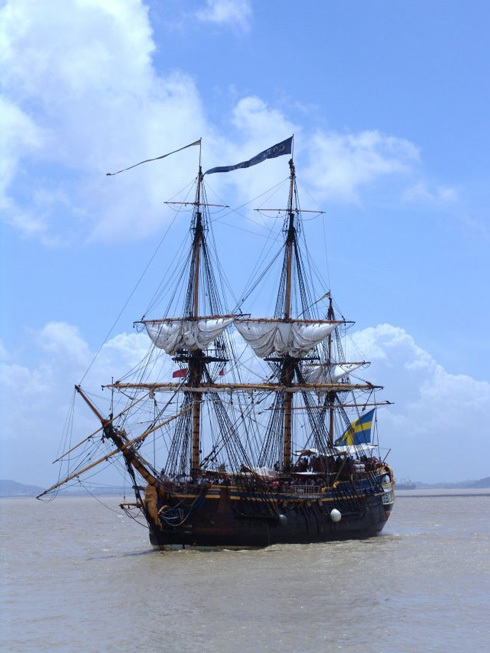 The rebuilt replica of the first East Indiaman Gotheborg, the Gotheborg III has now made its old trade route trip around the world, from Sweden, around the Cape of Good Hope in South Africa and up to Canton, China. On its way back from China, it touched base at Singapore earlier this year, where some of you might already have had a chance to view Her in Her majestic beauty. To me, she looks every bit belonging to the movie Pirates of the Caribbean where I can almost see Captain Jack Sparrow at the helm, albeit in the wrong flag colours. The project was based on the excavation of the original East Indiaman Gotheborg which sat sail in early 1743 not to be heard of again before September 1745 when upon homecoming, She, with a huge crash, hit an underwater rock just outside the home harbour of Gothenburg and sank. The salvaging of the immensely valuable cargo of silk, tea and about 300,000 pieces of Chinese porcelain started immediately. This salvaging of lost treasures continued intermittently for centuries, since her foundering.